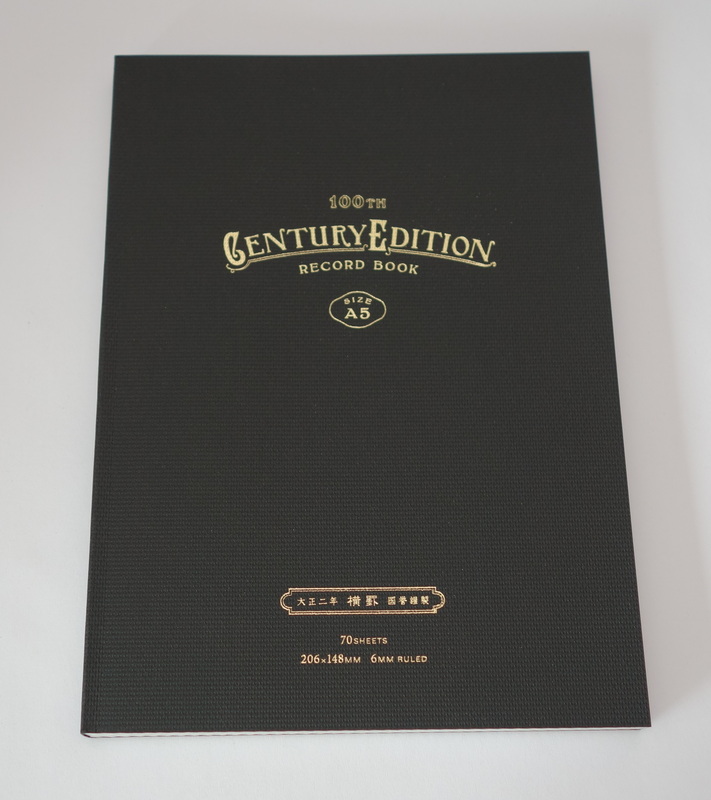 2013 marked the 100th year that Kokuyo has produced western style notebooks and to celebrate they have released a limited edition notebook called the Century Edition which I picked up in the A5 format. 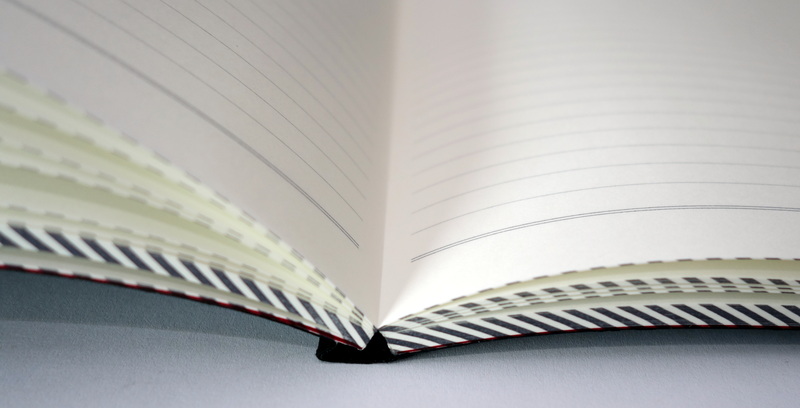 The notebook features 70 sheets of 100g paper with a 6mm rule. The look of this notebook is exceptional. The black cover is textured to feel like cloth. The combination of the black “cloth” with gold print and diagonal text block pattern (they also do a woven pattern text block version) creates a luxurious retro look. 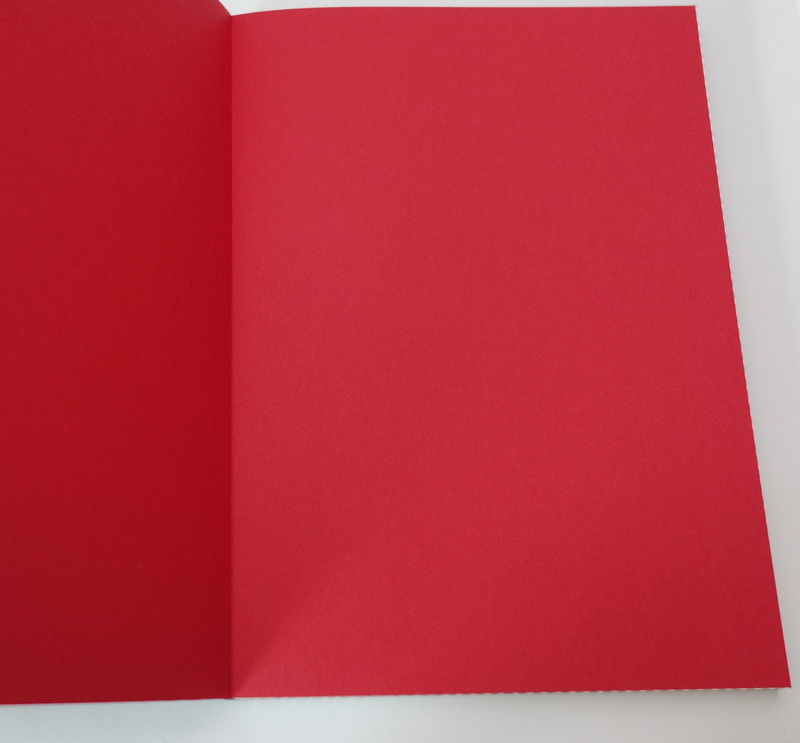 The the pastedown and free endpaper is made from a single piece of thick red paper. The luxury ruled ivory “Kokuyo Ledger paper” is designed to be used with fountain pens and is ultra smooth. It handles fountain ink without any bleeding or showthrough. The dry time is surprisingly fast (for a smooth paper). 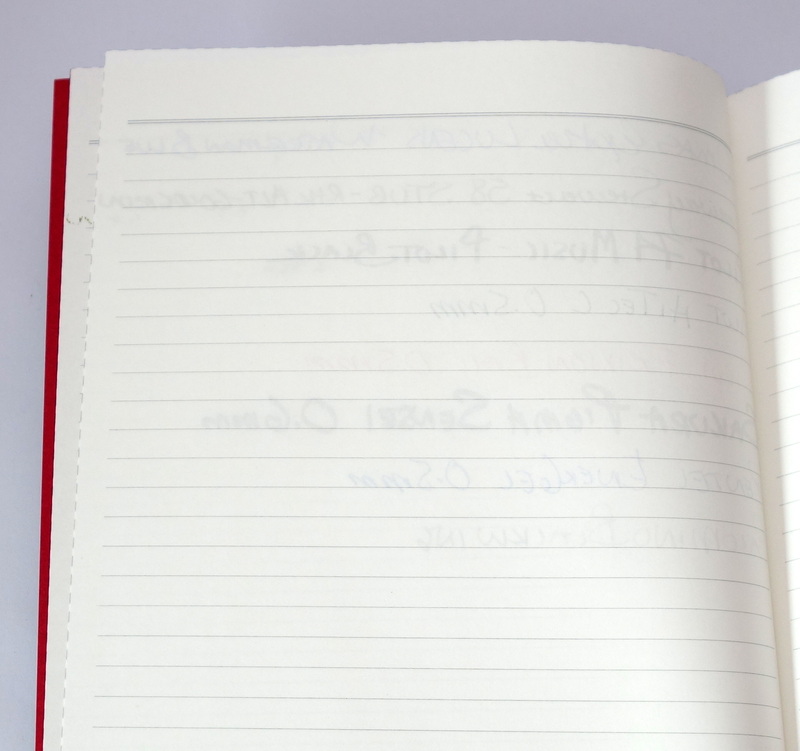 This isn’t an absorbent paper but I have been using this notebook as a journal and upon review I am not seeing any of the usual smearing I see when compared to my Tomoe River and Rhodia journals. The Century Edition has tiny little signatures and the binding is so good that I cannot for the life of me find the stitching with the book open. The binding lays quite flat on it’s own and improves with use. I haven’t been wowed by Kokuyo products in the past but this is the finest notebook I have ever had the pleasure of owning. The cost? 1,000 YEN (about $10 USD)! It’s not expensive and it makes a Midori notebook look like a sloppy first attempt (okay that might be a bit of an exaggeration). I highly recommend the Kokuyo Century Edition notebook. I know I will be buying more in the future. Thank you for the comment! Haha I had the review mostly written and I think you gave me the nudge I needed to finish it. Love this! Where did you get it? I picked this up at Ito-ya in Tokyo back in April of this year. I have seen them for sale on Rakuten for $11.50 which is where I will likely be repurchasing them. I like the overall design and I’m wondering where you bought it? So far I didn’t see any online stores who carry this notebook. I bought it at Ito-ya in Tokyo but I have seen it online for sale at Rakuten. Great review of a hard to find notebook (outside of Japan). Kokuyo paper is superb, especially with a fountain pen, and does not get the attention it deserves. My daily use notebooks are Kokuyo A5 soft 20-ring A5 binders with Kokuyo refills. The ring binder is small enough to not interfere with my hand yet I get the utility of being able to add and remove sheets. Thank you for your kind comment. I definitely need to try more Kokuyo products. I will look into their loose leaf formats. Here is a link to an English post on the Kokuyo corporate site on their vintage Western-Style ledgers which the Century Edition notebooks attempt to mimic. Perhaps the best part of this page is that they show how the classic hand-made edge marbling is done (hint, funori or seaweed glue and Ox bile are involved). 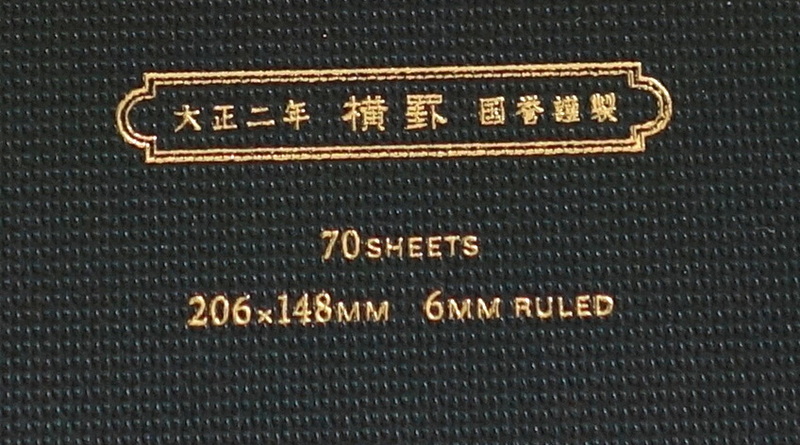 For comparison, here is Kokuyo’s page about their vintage Japanese-style ledgers. And finally here is Kokuyo’s product page (in Japanese) for the :RECORD BOOK Century Edition” (as they call them) notebooks. Did you know they come in colors other than black? Awesome! Thank you for the links David!